Here in Coral Springs, FL we have experienced pool repair & resurfacing services you can choose from to make your pool experience a great one! Acid Wash – by far one of the fastest (and least inexpensive) ways to restore your pool to the Mr. Clean shine it once had in its glory years. This labor intensive process utilizes chemicals we recommend our safety conscious professionals complete on your behalf. Commercial Pool Maintenance -- we ensure everything in your pool is in perfect working condition by the time we leave your premises - guaranteed. Eco-Friendly Pool Equipment -- in an effort to help you save money by lowering your bills and conserving energy we have a strong line-up of eco-friendly products designed to pay for itself in as little as 2 years, reduce waste and operate in near total silence. Heat Pumps -- Florida weather is unpredictable. And if your family, friends or guests wants a take a dip to exercise, swim or relax, you want to accommodate them by insuring a heat pump provides a warm and pleasant environment even with a slight chill in the air. Lead Detection and Repair -- leaky pools left un-serviced is setting yourself up for 'far more costly' structurally compromising repairs such as cracks in the pool concrete, warped pavers and the lost of countless of gallons of water daily. Pool Automation -- engineers, inventors and entrepreneurs have produced various automated tools to make it easy to enjoy your pool with the least effort possible. Just push a few buttons, pull up a lawn chair, sip a pina colada, and let us upgrade your entire system! REO/Foreclosure Services -- we specialize in bringing back to life a dead, dirty and ugly pool giving that properties backyard the "pizazz!" it needs to seal the deal and turn a skeptic prospect into a cash buyer the moment they picture themselves enjoying a cold pina colada in the comfort of their new backyard. And we do it at competitive prices, too! Residential Pool Maintenance -- our service packages vary according to a clients individual needs that span from deep cleaning services (cleaning tiles, walls, skimming insects and debris from the top of your pool) to repairing faulty pumps, heaters or other electrical devices prone to erosion. Resurfacing and Restoration -- when you walk into a backyard the first thing you notice is the pool. It's either in great shape, or it's not. And if it's not it stands out like a sore thumb. If your pool has fallen on hard times recently now may be the time to give it a full rejuvenation at a fraction of the cost of our competitors. Salt Systems -- salt water pools are perfect for people who want to enjoy their pool more often with less hassle. And if you think the idea of a 'salt' water pool may harm the eyes, don't. 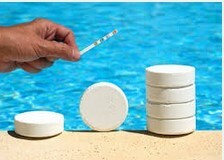 We use 1/10th the amount of salt and your eyes are far more likely to burn in chlorinated pools, not salt water pools. Swimming Pool Light Fixtures -- spice up your backyard with our energy efficient lighting system! Swimming Pool Safety -- safety is our biggest concern and that includes our clients, their families and all of their guests. A safety fence and pool alarm may be an investment initially, but the life of a loved one measures more than dollars and cents. 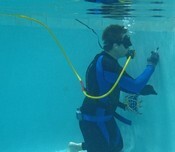 Call Perfect Pool Repair Today!